Okay, let’s say you have a bold colour in mind — let’s start with an espresso brown, for example. Now this colour, alone, would be overly powerful if it were painted on every wall of your home. However, if paired with the right set of neutral colours, that espresso brown can prove to be a creative, tasteful accent colour. If you’re looking at paint swatches, consider picking out a few espresso browns that you like. Next, move on to a few sets of neutral colours. To compliment espresso brown, for instance, you might go with charcoal greys, tans, off-whites, and maybe even very pale blues to bring your home to a more neutral, yet still enticing aesthetic. If you’re going with any other bold colour, start expanding your palette with a washed out, lighter version of that colour (to provide balance for the bolder colour, and to make your spaces look contiguous), consider adding in an off-white colour (often great for ceilings), and a few other colours that compliment each other (be mindful of colour theory, and stick to colours that are on the same side of the colour wheel, or complete opposite sides). Don’t forget about the objects and furniture that forefronts your walls. You can pick a bold accent colour that works well with your cabinets, for instance. Or perhaps you have an heirloom armoire that you’d like to bring out with a similar accent colour. You can even trust the colour of the houseplants that you have scattered throughout your home to lend life to a bold, pale-green wall or to contrast an even bolder maroon wall. Utilizing these objects can serve to bring attention to the centerpieces of your rooms, instead of just the walls. Now that you’ve settled on a palette that you find pleasing, it’s time to figure out where you’d like to implement your boldest colour. Consider spaces in your home that would serve well as an accent. Most often, you want to choose a space that is smaller, often only a wall or two. Consider spaces that are set back into the footprint of your home. Or, you might have a space that is naturally accented by other elements of your home — for example, the wall of the mantle above your fireplace, or the small, oddly shaped walls that line the spaces above your counters and below the cabinets of your kitchen. From there, you can begin to envision how the rest of your palette will be used to fill your home space. A word of caution: You shouldn’t use bold colours in overly large spaces. Here, bold colours can be too visually demanding, and they can detract from the aesthetic of the room. Be sure that the eye has plenty of space to “escape” your bold accent wall (or walls) — give onlookers plenty of “blank space” for the eye to carry around the room. Your accent walls should be just that: an accent. 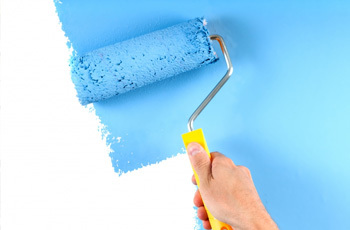 Don’t leave your accent walls yelling at guests for attention that they already easily earn. Whether you’ve decided on the best palette for your home, or you still need a bit of advice, we’re here to help. 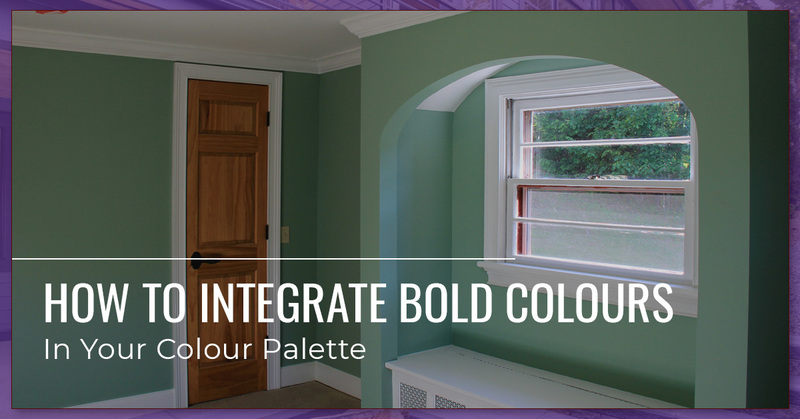 We’re Winnipeg’s trusted source for home painting services, including both interior and exterior projects, and we’d be happy to help you with a colour consultation if you’d like. Simply reach out to us if you have any questions, or get started with a free estimate for your project!